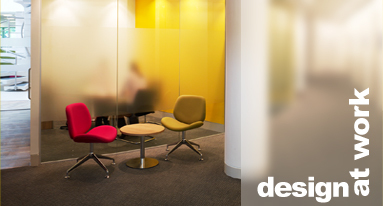 It is often the case that re-planning work space can require tenants to refurbish office space and enhance their interior space. Equally at times, landlords need to update their buildings to be brought up to modern institutional standards. The scope of these works can vary significantly but of often includes communal areas , air-conditioning, WCs lifts. Building reception areas, exterior and interior signage and car parking. For tenants having an adaptable future proof workspace may require them to refurbish upgrade or enhance their area over and above the base build specification. Design at Work can provide expert advice on where to target expenditure to ensure best value and future flexibility are achieved. 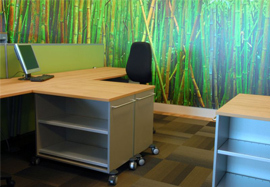 All of this allied to creating stunning workspaces ensures maximum value from the financial investment. 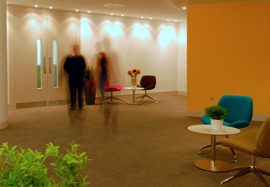 With any commercial refurbishment, creating the budget and engineering value are all part of our services.